A physician sometimes winds up in court accused of failing to meet the standard of care for a patient. In a bizarre twist, politicians in several states want to take a doctor to court for providing the best care. Why this paradox? The care relates to abortion. New bills introduced in state legislatures in Kansas, Oklahoma, and Missouri would outlaw the safest method of second-trimester abortion in America. Known as dilation and evacuation (D&E), this procedure is also the most commonly used. About 10 percent of all abortions are performed in the second trimester of pregnancy, and these bills would mandate substandard care for these women. These bills are especially punitive, since women requesting second-trimester abortion are often in the greatest need. They are often disadvantaged by poverty, abuse, medical and psychiatric illness, or late discovery of fetal abnormalities. Depriving women of the best care is not only dangerous but also unethical. 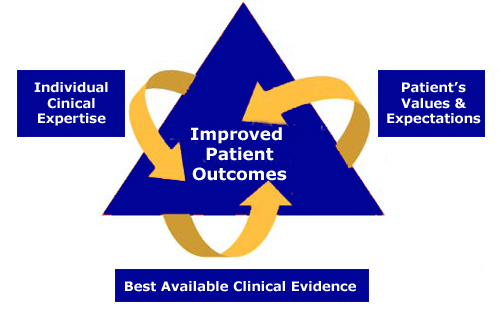 Evidence-based medicine is the accepted paradigm for safe and effective medical care. It involves finding the best available evidence, then filtering that evidence through the physician's experience and the patient's preferences. D&E abortion is a prototype. The wide use of D&E in the U.S. reflects high-quality science, extensive clinical experience, and the overwhelming choice of women. High-quality medical research over the past four decades has established D&E as the method of choice for most women having second-trimester abortions. Indeed, seldom in medical research is such consistency evident. Every comparative study has concluded that D&E is the superior to alternative methods. Three randomized controlled trials have been done in the U.S. and in the U.K. These found that D&E was safer, faster, and more acceptable to women than labor-induction abortion. Comparative studies from the U.S. and South Africa have confirmed that D&E is superior to labor induction. A large cohort study conducted by the Centers for Disease Control and Prevention (CDC) helped to introduce D&E to the nation. Case-series reports have documented low complication rates in the U.S. and in Canada. Moreover, ongoing abortion mortality surveillance by the CDC has confirmed the greater safety of D&E compared with alternative methods. Should these bills become law, four decades of medical progress would be erased. Around the time of Roe v. Wade, women needing second-trimester abortions had two options: labor induction or hysterotomy. With the former, labor is induced with one or more obstetrical techniques. A lengthy labor usually ensues with the attendant risks and discomforts of birth. Hysterotomy (a mini-cesarean delivery) carries surgical and anesthesia risks, pain, and expense. These bills would relegate women to these largely abandoned techniques. The wide acceptance of D&E by women stems from non-medical considerations as well. The procedure is less expensive, more convenient, and more comfortable than alternative methods. These bills propose to make the current medical standard of care illegal. They would mandate a lower quality of care. They would violate the patient-physician relationship and prohibit the shared decision-making that is every patient's right. In consultation with their patients, physicians choose treatments based on safety and appropriateness, not on local politics. These bills would pit a physician's professional obligation to the patient against the political dictate of the state, an untenable position. The goal is to force doctors to abandon their patients in need of help. If enacted, the Kansas bill would make a physician providing optimal care for a second-trimester abortion patient guilty of a "class A person misdemeanor." Repeatedly providing best patient care would constitute a "severity level 10, person felony." The Oklahoma bill would punish a physician with a $10,000 fine, imprisonment for up to two years, or both. The same holds for Missouri. As warned by the American College of Obstetricians and Gynecologists, "The intervention of legislative bodies into medical decision making is inappropriate, ill advised, and dangerous." Unlike the physicians who would be affected, the sponsors of these bills threaten the health and safety of women in their states. In the interest of justice, any legislator who introduces a bill that violates the patient-physician relationship and undermines medical care should be punished. How about a $10,000 fine, imprisonment for up to two years, or both?